The stuffed cherry peppers are a delicious preparation typical of Italy’s gastronomic tradition of the south. These small oval peppers, slightly spicy, are stuffed with very high quality tuna and capers and then preserved in extra virgin olive oil. The stuffed peppers are eaten like tantalizing appetizer or delicious finger food. Paired with white wine, taralli and traditional bread these stuffed peppers are a tasty snack. 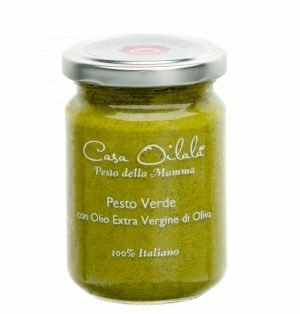 They are also delicious as side dish and excellent as a pasta topping. 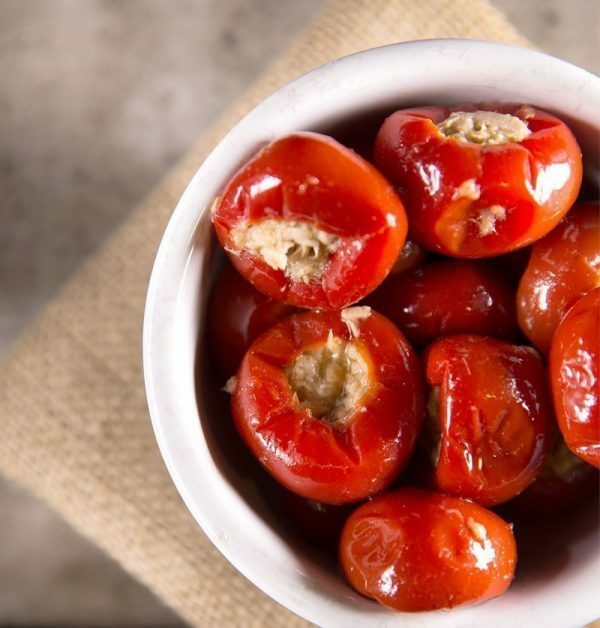 The cherry peppers are preserved in our delicious extra virgin olive oil, without any addition of preservatives, colorants or food additives. 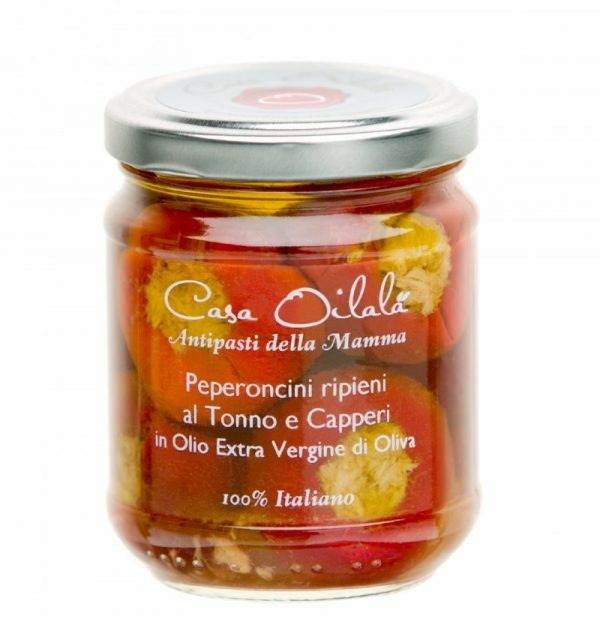 Ingredients: Cherry Peppers 20%, extra virgin olive oil 30%, tuna 40%, capers 1%, wine vinegar, salt. Ideal as: Instructions for 4 people : take eight stuffed peppers and cut them into four parts. 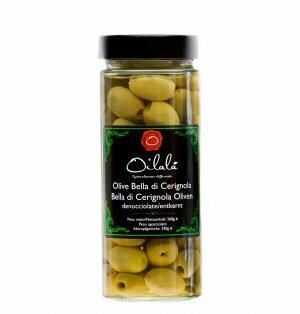 Cook the pasta ( 300g ) in boiling water and toss it in a pan together with the cherry peppers and the extra virgin olive oil contained in the jar, add a clove of garlic.